Hi everyone, this is my second movie review, I'm trying to get the hang of these as I think they're quite interesting to write! So this week I went to the cinema with a friend to watch. This film should still be out and this review won't contain any spoilers don't worry! So this is a comedy which follows the lives of quite a few characters. It includes sisters who hate their mother but wish to re-build their relationship with her, a father whose wife has recently passed and a new mother who never knew her own mum and sets out to find her! All the characters in the film actually know each other in some way. The cast is amazing in my personal opinion. It includes the likes of Jennifer Aniston, Kate Hudson and Julia Roberts who are all very well known for their work in films. But then there are some less known stars like Pretty Little Liars' Shay Mitchell and comedian Jack Whitehall. I found the film hilarious in places although there are some slightly racist jokes from older parents aimed at one of the characters Indian husband which didn't bother me but I suppose they could quite easily offend some... I don't think it's the type of movie I could watch over and over as much as I did enjoy it. I personally feel they tried to follow the lives of too many people and simply ran out of time... The movie ended so suddenly and I kind of wanted to know more, what happened to all of the characters in the film? It's hard to explain this comment without ruining the ending for you but if you've seen it I'm sure you will understand. 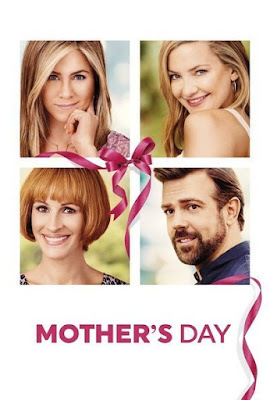 Overall the reviews were bad for it but I was pleasantly surprised all my favourite actresses were amazing and Jack Whitehall (who I had my doubts about) actually did a pretty good job within his role... Although in some parts I kind of cringed because it's not really what I'm used to him doing! But overall I think it's well worth watching just the odd flaw here and there. I was about to watch this movie yesterday, but I watched 'The choice' instead and I am so glad I did. Nicholas Sparks movies are the best, you should watch it next :) I will definitely watch this one probably on the weekend!